Help your plants to grow out large flowers by adding Big Bud to your irrigation water. Your plants will end up full of giant buds that you’ll need to try and fatten. 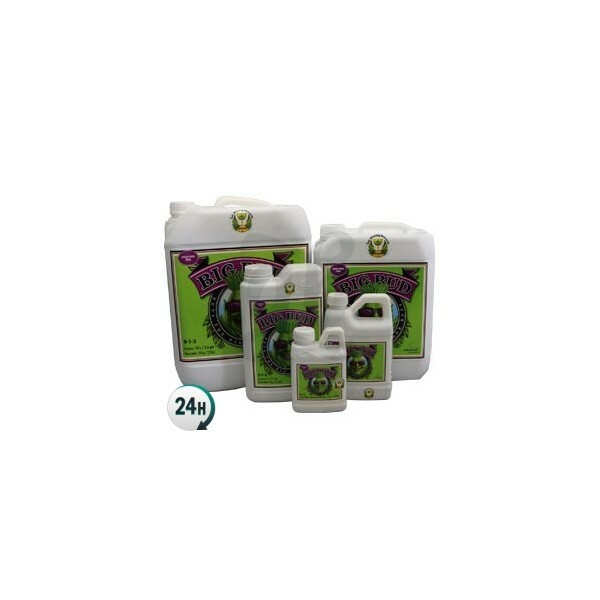 When you use Big Bud by Advanced Nutrients your plants will grow new sprouts and flowers, as well and increasing resin and pistils. You should then use a fattening PK product such as Overdrive by Advanced Nutrients in order to fill out these new, large buds. 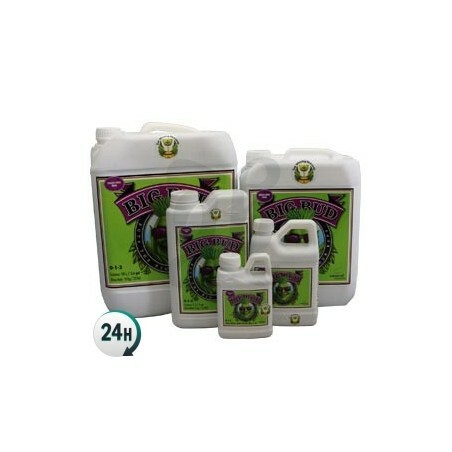 Big Bud is used in your feeding water alongside an Advanced Nutrients base fertilizer – this will give your plants everything they need to grow during the first flowering weeks. You’ll be able to grow out long colas of buds, thick and round like a cheerleader’s pompom and ready to fatten up and give the largest yield possible. Your flowers will look better than ever if you use Big Bud by Advanced Nutrients – it’s perfect for growing in soil, hydroponics and aeroponics. Use Big Bud from the first appearance of pre-flowers, which is about the second week after flipping the lights. Use it up until the flowers have fully formed and need to be fattened – then switch to Overdrive until you flush the roots.